Buddhism's most valuable insights on the interior life and the path to true happiness. The Buddha said many times that just as the great oceans have but one taste, so do all the true teachings of the dharma: the taste of freedom. 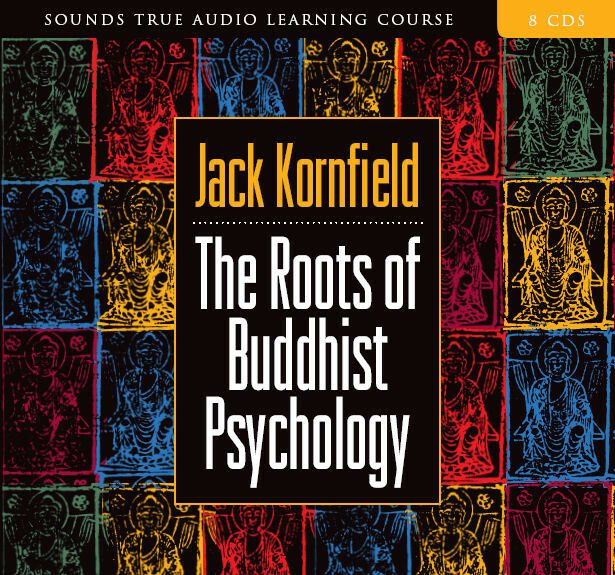 Jack Kornfield's The Roots of Buddhist Psychology is an invitation to drink deeply of these teachings to taste the wisdom that flows from the heart of Buddhism's most useful ideas about the interior life, and what brings awakening, freedom, and happiness. Among the world's great religions, Buddhism alone has developed a rich, intricate psychology based not on metaphysics, but on the human predicament. Through its strategies, you can find the way to true freedom. Buddhism views the mind as a labyrinth of feelings, perceptions, and emotional states. Unhappiness is rooted in unskillful responses to our world: grasping when things are pleasant, aversion when they are unpleasant, and delusion/confusion when they are neutral. Through awareness training, Kornfield teaches, you can transform these responses into real skills that are the path to true happiness. This is the way to inner stillness—the deathless state that allows your wisdom and compassion to flow together for a state of greater knowing. Enlivened with many parables, worldly stories, and thoughts from artists, philosophers, and writers, The Roots of Buddhist Psychology can help you to discover for yourself that what you seek is already here.